A company in Iceland is trialling a 3D painted zebra crossing in a bid to slow motorists down. Vegamálun, the Icelandic firm behind the work, says the idea originated from the Indian capital of New Delhi, where 3D zebra crossings have also been used to reduce average speeds. They’ve been introduced in the Chinese capital of Beijing as well. There’s nothing particularly clever about the 3D zebra crossings: they’re simply an optical illusion, painted to appear in 3D. This is intended to make drivers slow down and pay them (and hopefully any pedestrians using them) more attention. 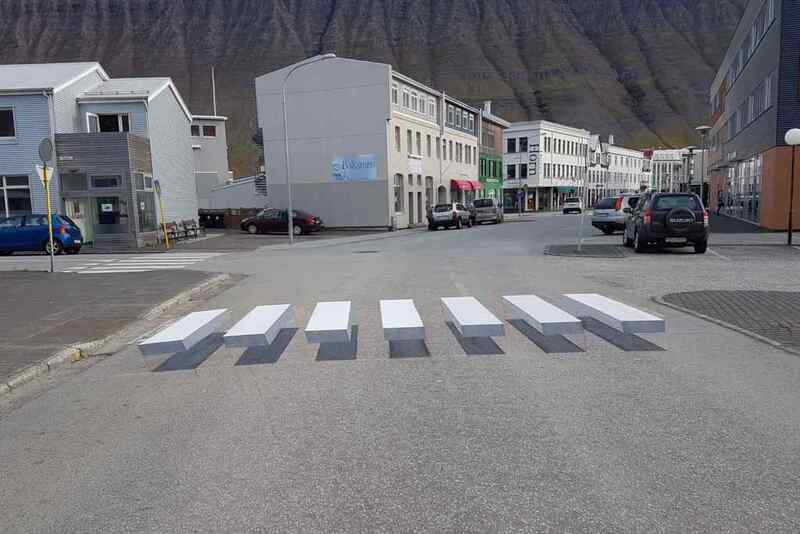 “A pedestrian crossing like this makes it look like there’s something blocking the road,” Vegamálun CEO Gauti Ívar Halldórsson told Icelandic website Visir. 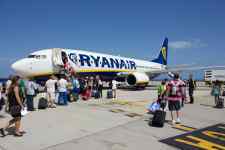 The company came up with the idea earlier in September, taking just a couple of weeks to receive the go-ahead from local authorities. During that time, workers were able to practice their 3D painting skills.